Hi there! 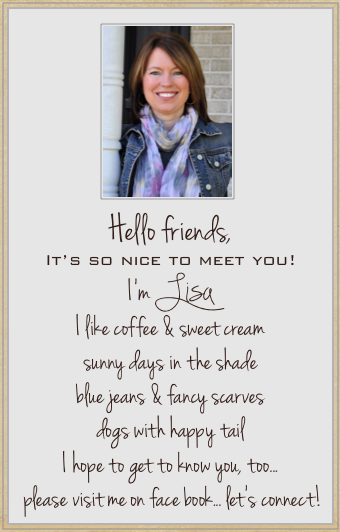 I’m Lisa, a married mom of two boys with a love for cooking, decorating, and creating. This is where I share simple, tasty recipes, affordable DIY crafts, home decor ideas and flea market finds. I am a Christian who believes scripture offers the greatest inspiration for living a joyful and abundant life. I hope you will browse around and stay awhile. For more information about my background, you can read more here.